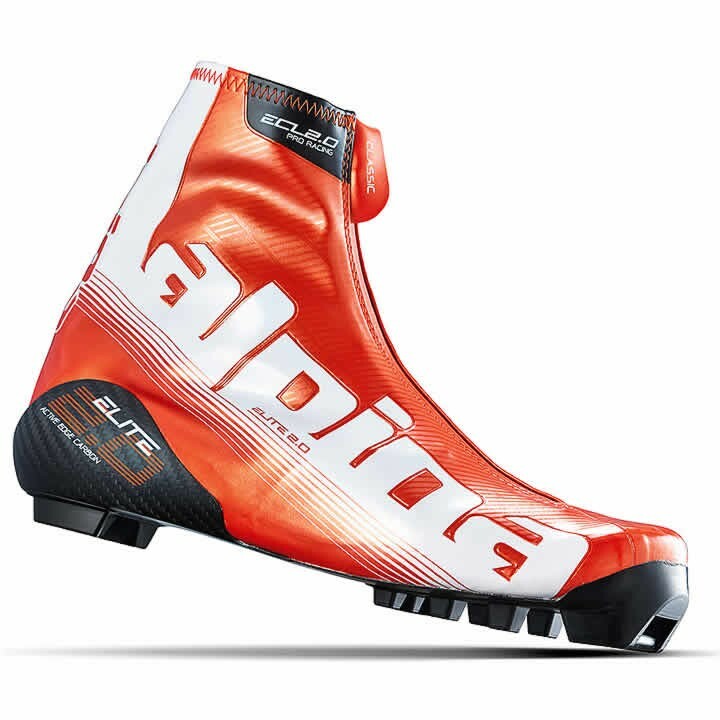 The Alpina ECL 2.0 Boot features a one-piece chassis construction for maximum stiffness and stability. Designed to meet the needs of elite level athletes, the ECL 2.0 allows racers to push their limits. Classic Active Edge with Alpina SSR Classic Sole: Extremely light anatomic and ergonomic carbon-made Active Edge and soft flex chassis construction with directly integrated TPU-made NNN compatible toe and heel plate. One-piece chassis construction provides maximum longitudinal stiffness and stability, superior responsiveness and power transmission by the foot to the ski, with free heel and adaptable heel pocket construction for minimum heel stress and optimal fit.